Just search the Discogs vinyl database ... ... by artist & title or by Catalog Number. Diese tolle Datenbank lässt keine Wünsche offen. Ich konnte in kürzester Zeit einen Großteil meiner CDs und Vinyl LPs (insgesamt ca. 1800 stück) per Barcode erfassen. Ältere CDs/LPs ohne Barcode werden oft schon in der Datenbank gefunden, wenn man nur die Band beziehungsweise den Album-Titel eingibt. Sollte ein Album trotzdem nicht zu finden sein, kann man es manuell erfassen was auch unkompliziert und relativ schnell geht. Sehr schön ist, dass man die Datenbank nach diversen Kriterien sortieren und durchsuchen kann. Es ist auch sehr hilfreich, dass man die Alben als Foto sieht. Auch MP3-Alben und Cassetten habe ich eingegeben und daher endlich einen Überblick über meine Sammlung. Ich wusste gar nicht, das es so ein Tool überhaupt gibt und hatte schon angefangen, manuell eine Exel Tabelle anzulegen, was furchtbar mühsam war. Zum Glück habe ich nach circa 150 Scheiben CLZ Music entdeckt! 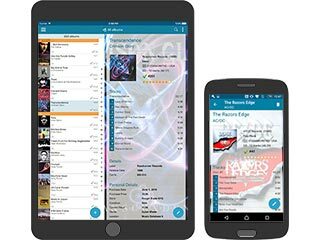 Die CLZ Music App haben wir auf zwei Smartphones und zwei Tablets installiert und über die CLZ Cloud wird zuverlässig synchronisiert, so dass man sich mit jedem Gerät auf dem aktuellen Stand halten kann. 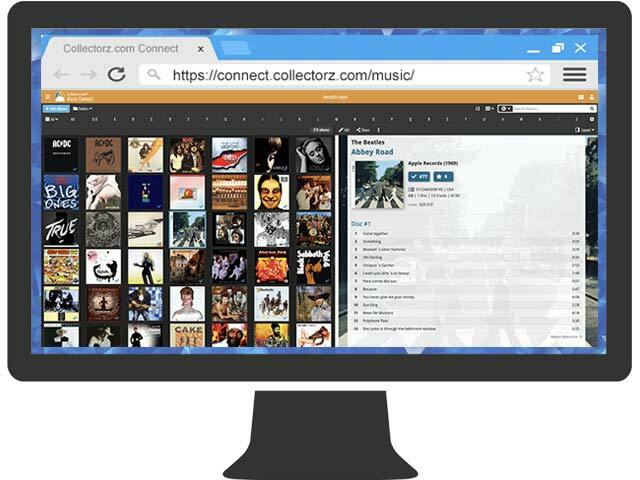 I switched from Music Collector to the Music Connect software a few months ago. However the possibilities for classical music are less than the desktop version it works very well for me. Keep in mind that one of the nice things of playing vinyl is the cover with its information. No need to order everything in the software. I bought my very first 45 rpm record around 1963 and I still have it today. I've been collecting records ever since but I really didn't start collecting seriously until the 1980's. At that time I began going to record conventions, buying records through mail order catalogs and from the classified ads in the back of Goldmine Magazine. I collect vinyl record albums and 45rpm records. I lost track of the number of records I have but would guess around 2000 record albums and around 3000 45rpm records. I mostly concentrate on the 45rpm records today because the albums take up too much room. I began archiving my collection in the 1980's using a typewriter. You talk about time consuming...this was before personal computers of course. I still have those pages of records that I typed back then. I eventually stopped archiving them because it took so long to do. When I got my first computer in 1992, I retyped my record archives into the computer which took just as long as the typewriter but at least I could print them out on my printer. All through the 1990's I wished that there was a software program that would make it easier to archive my collection. When I finally discovered Collectorz.com, I knew my wish had come true. A software program to keep track of my records. Although I collect mostly old original vinyl 45rpm records and have to manually type them in, it's still 100% better than when I was archiving them using the typewriter. I love the fact that I can include an actual photo of my records in the archive too. I don't want to miss CLZ Music Colector! Music is the art of combining vocal and or instrumental sounds together to create expressions of an effect, like emotions and situations. Music can describe feelings and thoughts that many people can have, but they can not express for what ever reason. Music is acutally a noun that means musica in Latin and has originated from the Greek word muse. The word music has synonyms like melody, harmony, and song. Music is a natural tool because it is a form of communication. When animals sing their songs to one another, this is music used for communicating and mating. Humans use music for many different reasons, such as entertainment or to excerise. For expression and or communication purposes, music has many other great uses. Music is also beneficial for a person's health and even their mood. Studies have shown that people who listen to music are much more smarter, retain more information, and are in better moods for longer periods of time than those people who did not listen to any music at all throughout the day. Plants and babies can also benefit from listening to music. Music should be included in every one's life, either the radio or even online, for an expression of themselves and to be more healthy. When I hear a certain song that is played and listen to the lyrics being sung, this can describe a situation or experience that I may be going through at that time along with the particular emotions that are felt. This can help me to feel better by knowing that another person has been through this type of challenge also, and or has felt the same emotions about certain things. A special song, with amazing lyrics and even a good rhythm, can always mean so much to a person. I'm collecting now LP's & CD's over 40 years ! 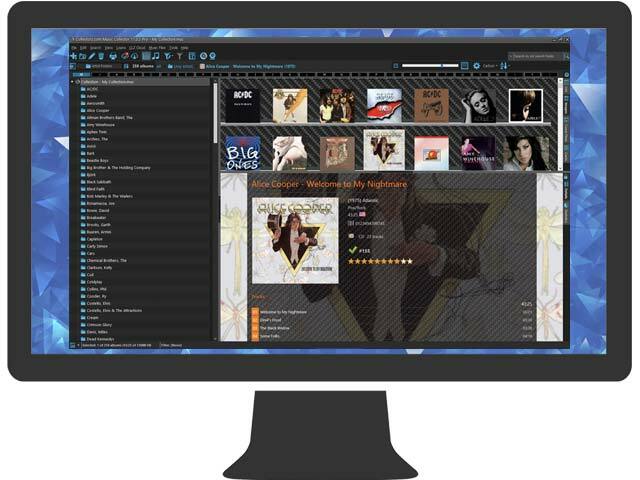 The CLZ Programm is a good one to join your own music-collection. You can use it very easy and if you have a problem their is always someone that helps you. I have been a COLLETORZ customer for many years. I have about 1200 vinyl albums and over 800 CD's Hard to keep track of it all or if I have lent out any music to friends or family. Worse then that, shopping and finding out after I got home that I already have that !! The development and growth of the MUSIC program is amazing. I used to work for a small IT company here before it was bought out by a BIG company was awesome. I can relate to the entire team and what it all means !! Any time I have reached out to you for help . . you have always come through..
My story begins in Jan/Feb of this year when my elderly laptop lost many of its programmes. Off to local repairer- all back, EXCEPT for Collectorz! On to site, reset and upgraded, but still not complete access. Start to wonder, 1250 Albums (CD. and Vinyl) lost? Site tells me I own licence then won't let me in! Your improvements in the program are wonderful. I have been able to log over 500 disks, so far, the vast majority LPs, at an overall average of under 2 minutes for each. That average includes time for putting a batch back and getting a new one, occasional refreshment, and so on. Ich bin dabei meine Vinyl Sammlung zu archivieren. Begonnen habe ich mit Disqogs, ich finde die Disqogs app schwach und die Webapp unübersichtlich.